At Canyon Ferry Road Baptist Church, 25% of all tithing goes toward funding missions. We have sent missionaries from this and other churches to India, China, Eastern Europe, and elsewhere. Our goal is to spread the Word of God to people across the globe that have not heard of Him and to provide relief and support where it is most needed. We are blessed to have a supportive congregation that is generous with the gifts God has given to them. 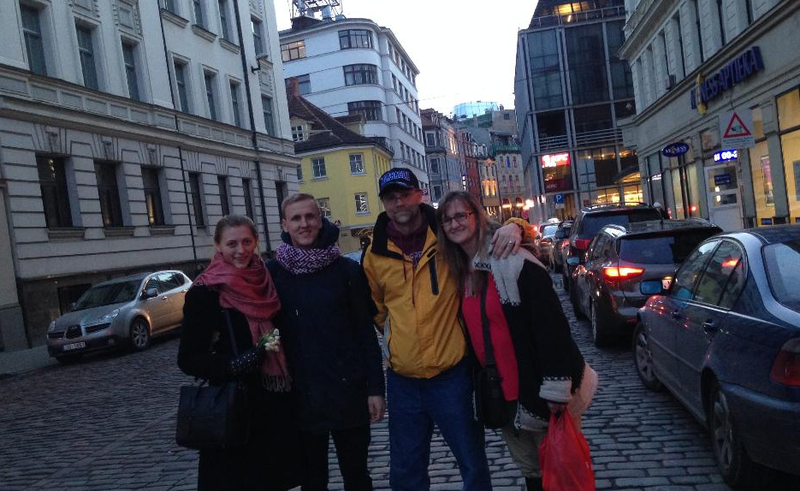 David, Kim, and Tanya are missionaries to Latvia, a small Baltic country in northern Europe. There, they meet local people, help plant churches, work with orphans as they age out of orphanages, lead bible studies, and disciple to university students in hopes that they take the gospel home, aiming to reach 30 nations in the next 20 years.